Wide range of inks Chinese sumi-e, drawing, illustration in sizes from 30 ml. to 1000 ml. We have drawing inks the best manufacturers: Winsor & Newton, Vallejo, Pelikan, Liquitex, Lefranc, Talens ... in all formats (including sticks and packs of 1 liter). Permanent Chinese Ink, Vallejo White, 23 ml. 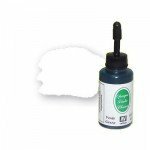 Permanent Chinese Ink, Vallejo Blue, 23 ml. Permanent Chinese Ink, Vallejo Sepia, 23 ml. 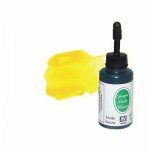 Permanent Chinese Ink, Vallejo Yellow, 23 ml. 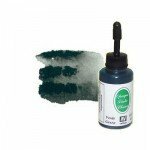 Permanent Chinese Ink, Vallejo Green, 23 ml. Permanent Chinese Ink, Vallejo Black, 23 ml. 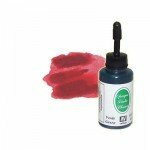 Permanent Chinese Ink, Vallejo Red , 23 ml. 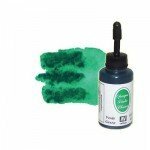 Drawing Ink Emerald Green, Winsor & Newton, 14 ml. 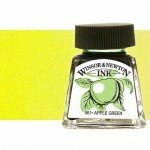 Drawing Ink Canary Yellow, Winsor & Newton, 14 ml. Drawing Ink Scarlet, Winsor & Newton, 14 ml. Drawing Ink Violet, Winsor & Newton, 14 ml. 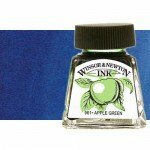 Drawing Ink Blue, Winsor & Newton, 14 ml. Drawing Ink Bright Green, Winsor & Newton, 14 ml. Drawing Ink Crimson, Winsor & Newton, 14 ml. Drawing Ink Sepia (mud brown), Winsor & Newton, 14 ml. 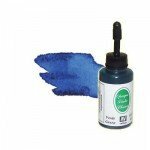 Drawing Ink Ultramarine Blue, Winsor & Newton, 14 ml. Drawing Ink, Black, Winsor & Newton, 14 ml. Drawing Ink Carmine, Winsor & Newton, 14 ml. 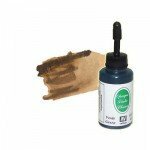 Drawing Ink walnut, Winsor & Newton, 14 ml. Drawing Ink Viridian, Winsor & Newton, 14 ml. Drawing Ink, Apple Green, Winsor & Newton, 14 ml. Drawing Ink, Burnt Umber, Winsor & Newton, 14 ml. Drawing Ink Purple, Winsor & Newton, 14 ml.